The TOS Awards are an annual event at DTNA which celebrate and recognize Best Practices within their company. This year, DTNA’s Elite Support team received two awards for their efforts to improve Customer Uptime and Service Throughput and accredited much of their success to the efforts of Dealer Family Continuous Improvement Coordinators and Dealership Elite Support teams throughout the country. DTNA’s Elite Support team was awarded 1st-place for the DTNA Aftermarket Division and 3rd-place overall within the Customer Services category. In their application for the award, the DTNA Elite Support team outlined their Service Performance Development (SPD) program and identified Freightliner Northwest’s Spokane, Wash. branch as an SPD success story. Regional Operations Director, Jerrad Avery, was in attendance to represent Freightliner Northwest Spokane and participated in the winning presentation. Jerrad took the opportunity to dive into SPD program and describe some of the operational and cultural improvements that the program helped the Freightliner Northwest Spokane achieve. The GTC Dealer Family is proud of the Spokane branch, and the commitment of all Elite Support CICs within the organization continually working together with the Elite Support Team to cultivate the superior customer experience. 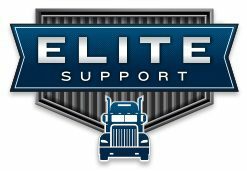 Click here for more information on Elite Support.